Mr. Manivannan, who declined to discuss politics, said his mission was incomplete, as he could not spend time in Jaffna as scheduled. He said he had to spend the night at Palai on Tuesday because the Sri Lanka army had refused to let him through after the Muhamalai entry point was closed. Mr. Manivannan said he had visited Kilinochchi on his way to the peninsula. 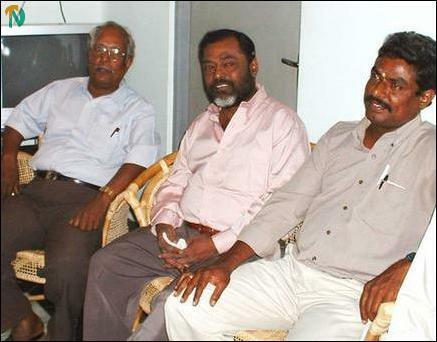 When journalists pointed out to him that movies made in Tamil Nadu about the Tamils in/from Sri Lanka’s northeast, such as Kannaththil Muththamittaal, Naladhamayanthi and Thenaali, distorted the reality about their lives, Mr. Manivannan said he would consult intellectuals and talk to people in Jaffna before he produces the movie. He thanked Tilco Travels Ltd for arranging his visit to Jaffna.